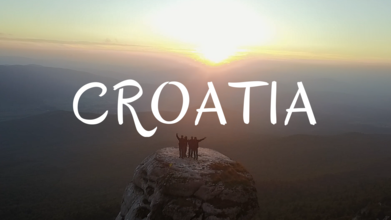 Croatia up in the mountains with locals and their jeep ! Somewhere on the border of Croatia and Bosnia. An abandoned military base in the mountainous Balkans make for an epic 4x4 road trip and a drone video to memorialize it. Travel Lifestyle traveled with some friends in a Jeep to travel to an old Yugoslav Army base in the mountains that lie between Bosnia and Croatia. Using ground footage to supplement their drone footage, they did an amazing job recording the highlights of their 4x4 trip to this eerie place.